Robust and stylish internally lacquered canister extruded from a single pellet of aluminium providing the perfect receptacle for TORQ’s Energy and Recovery powders. If you’d rather use a tub than a pouch to carry your TORQ energy and Recovery around with you as you travel, or like the idea of some TORQ-influenced kitchenware, this could be the product for you? The TORQ Carry Canister is a robust and sizable aluminium vessel extruded from a single pellet of aluminium. The screw top lid, also forged from aluminium, is air/moisture tight and the internals of the canister are clear lacquered to ensure that the aluminium is sealed away from contact with any food products that may be carried within. The exterior of the TORQ Carry Canister has been painted with a highly durable matte black enamel, giving a premium quality finish to the product. 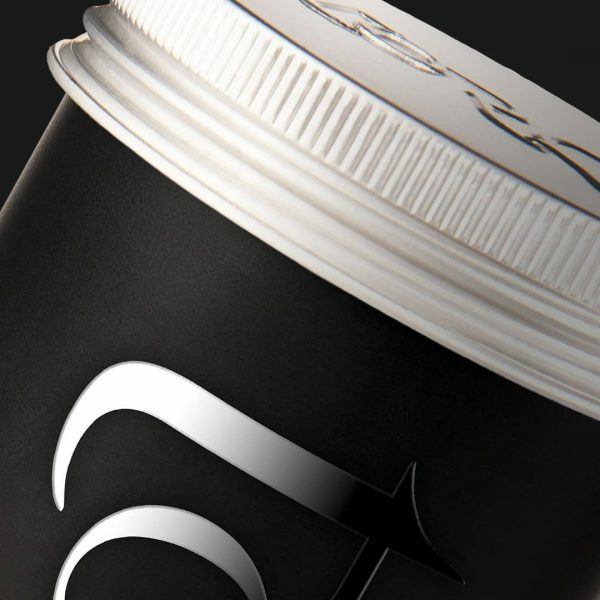 The TORQ logo has then been subtly added using a spot gloss varnish and the brushed aluminium screw top lid has been embossed with the TORQ logo to finish off a highly desirable item. * Since moving away from plastic tubs in the direction of pouches for our larger servings of TORQ Energy and TORQ Recovery powders, we accept that some people prefer to decant their powder into another vessel rather than scoop it from the pouch. We consider that there are a number of benefits to using the pouch instead of another vessel, the main one being that the pouch will shrink as you use the product, taking up less space in your cupboard as you work through it, where as a tub or canister will naturally remain the same size. However, we do accept that people have preferences and therefore the TORQ Carry Canister offers an alternative storage method for those who might prefer it. * However you look at it, a TORQ tub or TORQ pouch doesn’t look great on a kitchen surface and can look untidy. 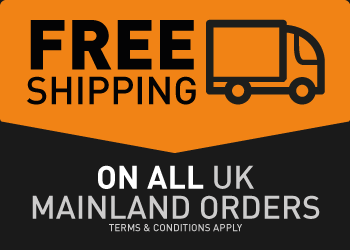 The use of a black finish as opposed to any other colour keeps the canister very much ‘background’ in your kitchen and will therefore work in most decorative environments. Simply decant powder from your pouch into the TORQ Carry Canister and have it sitting on the kitchen surface, making it easy to get your hands on without spoiling the appearance of your kitchen – dare we say it, perhaps even enhancing it? * When travelling, we offer a solid solution for transporting your powders securely in a pouch with the use of a TORQ Strap. The only vulnerability of this method would be to sharp puncturing objects – unusual we know, especially if you’ve packed your bad yourself, but the TORQ Carry Canister is so robust, you don’t even need to worry about this. The 500g tubs that we use for our smaller doses of TORQ Energy and TORQ Recovery can fall victim to cracking and the tops popping off under pressure, which again will not happen with the TORQ Carry Canister. This product is a bomb-proof vessel for transporting your powders around in and can be reused again and again without deterioration of performance, perhaps just a few little dents and scratches if used for travel purposes as it grows old.